All it takes is considering the state of sanitation in the 19th Century American West, and I’m grateful for modern conveniences. Family vacations through State and National Parks often found us with young children and only pit toilets. The children found the facilities (though clean and well-tended) less than adequate–and washing their hands with damp baby wipes their least favorite thing. 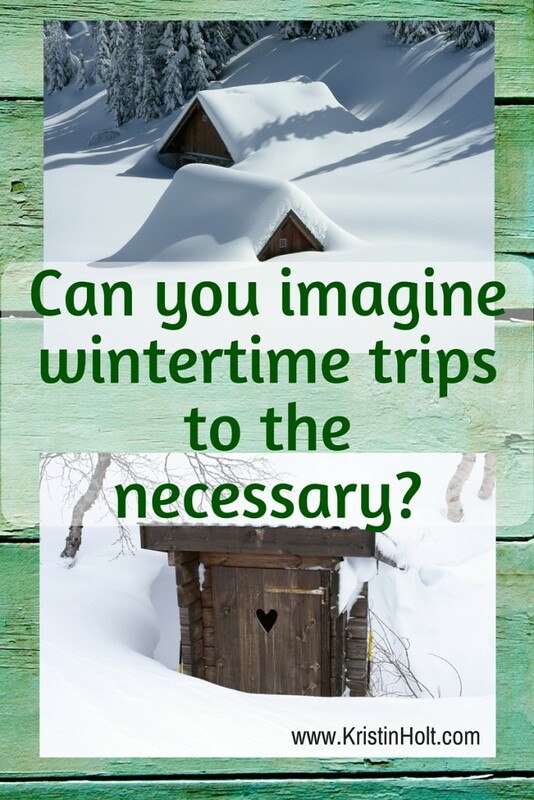 Some well-to-do families had one seat in the outhouse for each family member. Thus no one had to share a seat when they each visited the facility one at a time. 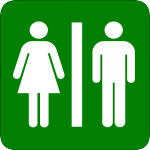 No wonder chamber pots remained in use until both the “potties” and outhouses went the way of the dodo bird. 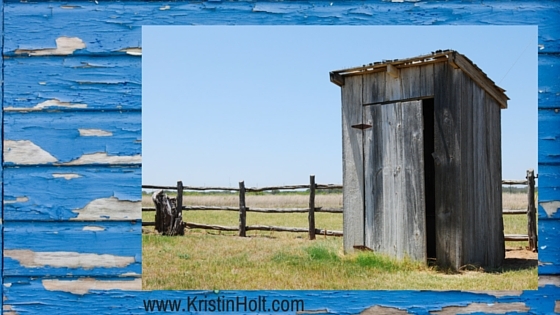 Outhouses were ventilated. A pipe or chimney ran from the holding tank (sometimes concrete- or brick-lined and sometimes literally a hole in the ground, sometimes lined with cut grasses as a barrier against seepage) up through the cabin interior, and open above the roof. 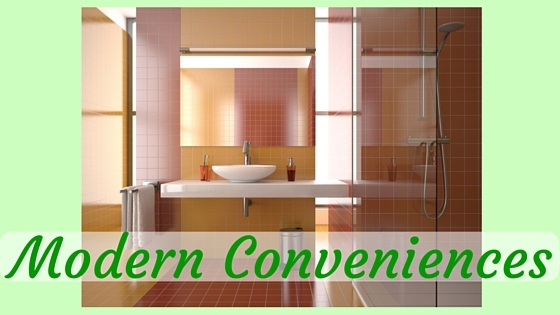 This vent’s purposes was to allow odors and gasses to escape, bypassing the space used by people and attempting to mitigate the stench. 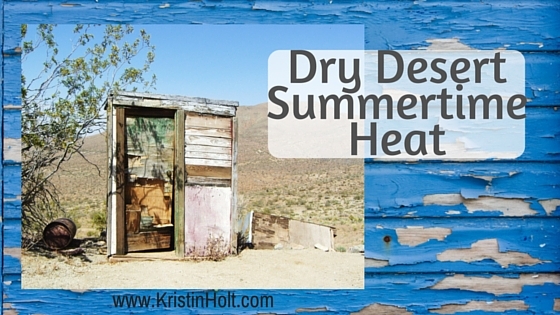 One challenge of summertime (or a hot climate) is the unavoidable odor of excrement. When the holding pit would become full, a new hole would be dug, the privacy structure moved, and the soil excavated from the new spot used to fill and cover the old pit. 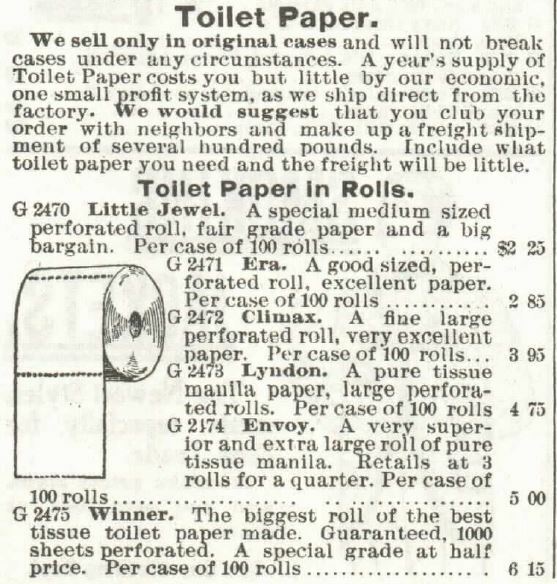 Note the mention of Toilet Paper (last paragraph of the advertisement), 15 cents. 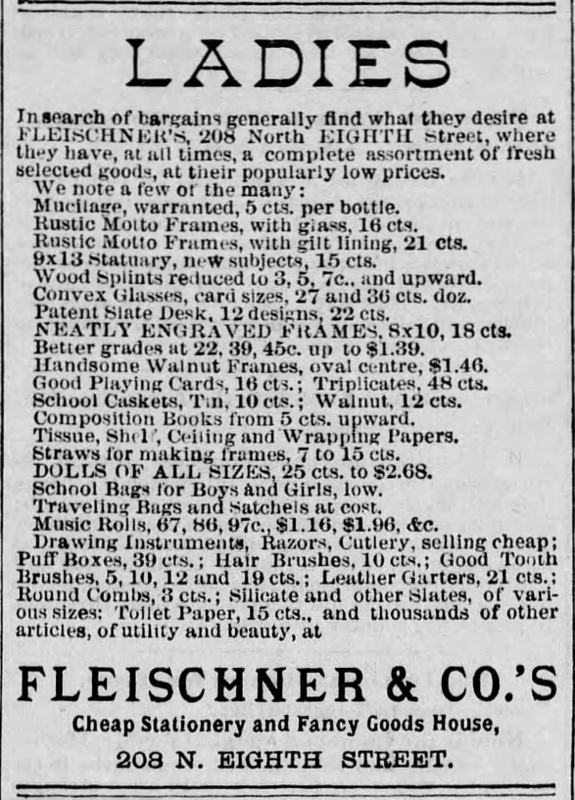 The Times, Philadelphia, Pennsylvania on 8 December, 1877. 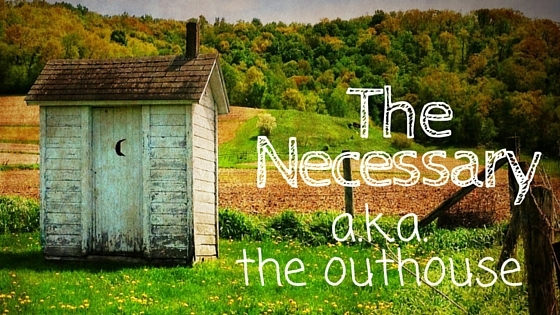 One most common euphemism for the outhouse was “the necessary”. Fun post and “necessary” for all historical writers to know. Thanks!